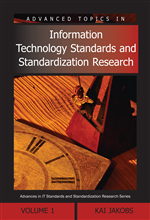 This chapter extends the examination of block alliances in standard setting from market-driven to formal or committee-based processes in the information and communications industry. Formal-process block alliances are argued to emerge in anticipation of institutional failure, that is, from the prospect that formal standardization will not yield a timely or correct solution. These block alliances organize around particular standards or more general technology streams and have distinctive characteristics. These include a clear articulation and separation of marketing and technical specification roles. Finally, block alliances in formal standard setting exhibit a governance form corporate in nature and distinct from the star or clique forms exhibited in market-based alliances. Some potential causes of this are examined.